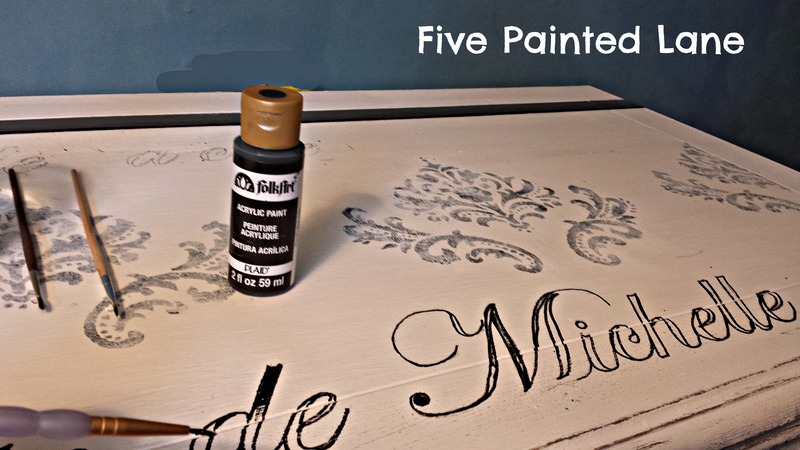 ← A desk and chair get a chalk paint makeover. Ce Ce Caldwell’s and stripes make it special. This $4.00 thrift store find was so so very brown. I saw it had a lot of curvy swirly details and I like that in a table. I put some grey paint in the deeper part of the crevices and THEN I took a before photo. Just picture it all very brown. 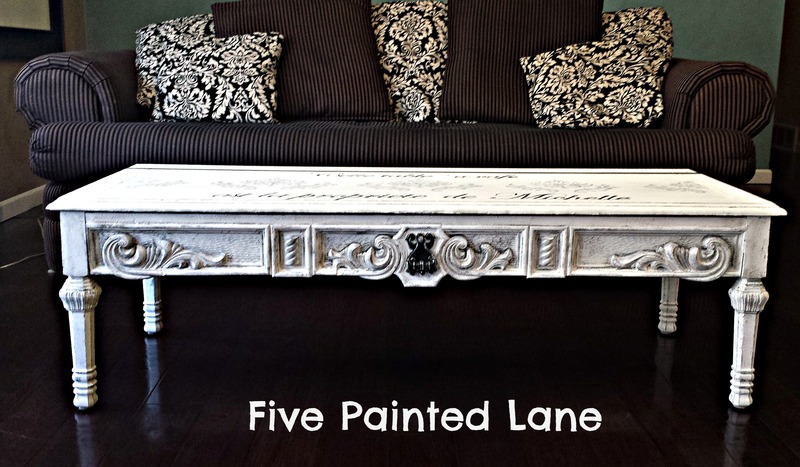 I used a white chalk paint. I am in a stripe everything mood these days. I also used a Martha Stewart stencil. I enlarged the Edwardian font I liked at the local copy store. 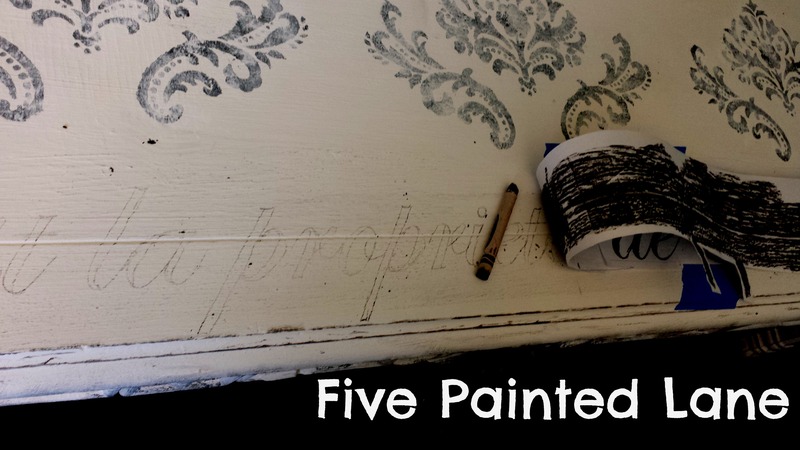 To copy to a surface just rub a black crayon on the back, tape in place and trace. 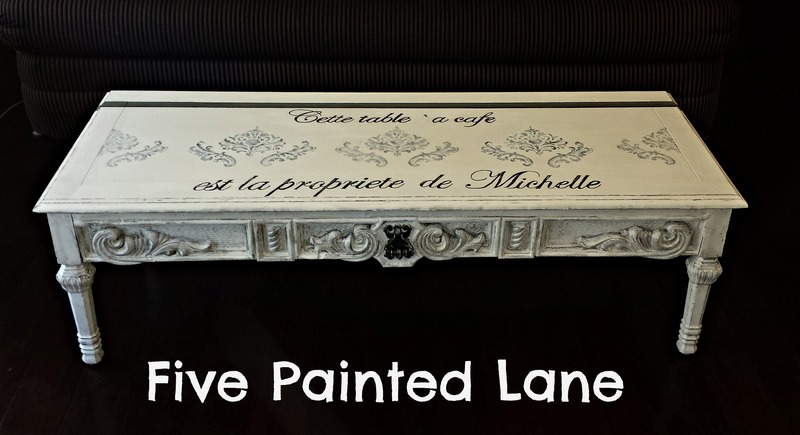 I told the hubby if he didn’t like it I would sell it then I painted right on it in french, “This coffee table belongs to Michelle”. (maniacal laugh) He said, “so I guess it’s a keeper”. Great transformation and great story. You should have “belongs to Michelle” (in French) tattooed on Sanjay. @Steve, you are so funny! 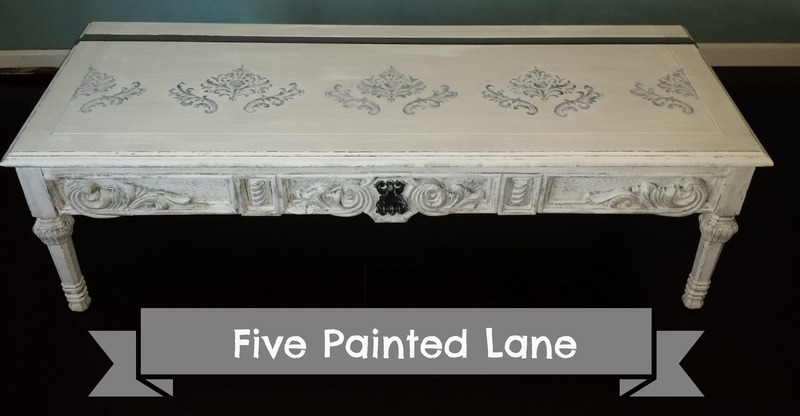 I saw a similar table on sale at major retailer for $350.